Colin Powell with his BFF Barry (Photo Pinterest). Forget about 3 AM. Would Clinton even be awake for a 3 PM phone call? Eboni Williams and Ashley Bell react professionally to questionable Fox poll. Republican frontrunner Donald Trump just dropped quite the hint of naming John Bolton as the next Secretary of State. Of course, that’s if he’s elected. Aussie military looking for American, British troops. Uncle Sam may not want you anymore, but there’s a good chance the Little Boy from Manly is ready to take advantage of America’s national madness. As everyone already knows, the Obama Administration is gutting the US Armed Forces. Manpower staffing levels are being cut, the military budget’s been slashed, more civilians are employed by the Dept. of Defense than those in uniform. And the icing on the cake is that military retirement will see a fundamental transformation that certainly is no friend to the former-service member. As the Military Times recently reported, the tried-and-true retirement system of 50 percent pay at 20 years of grueling service to their nation will come to an end. In its place will be a civilian-type 401(k) scheme. “It’s the biggest change in decades for military compensation. For the first time, the military will offer some limited retirement benefit, similar to 401(k) contributions, to troops who separate before reaching 20 years of service. Historically those non-career service members — more than 80 percent of the force — received no retirement benefit. But what may be the veritable lifeline for those being squeezed out of their chosen profession may be the Land Down Under. Australia is openly and aggressively seeking to recruit both officers and enlisted from the United States, Great Britain, Canada, Ireland and South Africa to help fill the ranks. Each branch of the Aussie Ministry of Defence (MoD) has differing criteria for recruitment. Nonetheless, the Australians are ready to sign-up those ranging from a Marine infantryman to a Navy enlisted Fire Control System technician to an Army Medic to an Air Force (or Navy or Marine) fighter pilot. And yes, everything in between. And for those American Marines who were everything from Recon Marines to Cobra pilots to bulk fuelers who want to stay Marine, the Aussies are transforming the 2d Battalion of the Royal Australian Regiment to their own version of our Marine Corps. 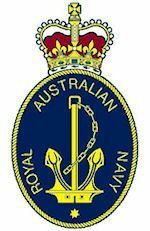 But just because someone was, say… a Navy ordinance officer, that same individual doesn’t have to join the Royal Australian Navy (RAN). 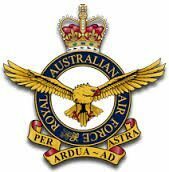 If that same ex-navy officer so desires to go Australian Army or RAAF, that’s their call. Speaking of soon-to-be former Marines and sailors, the Aussies REALLY want those with an amphibious warfare background (USMC Combat Arms/Logistics/Communications, etc). And with the beefing up of their blue water fleet, submarine sailors (both officer and enlisted) are in high demand. And when it come to pay, “salivate” is the word that comes to mind. 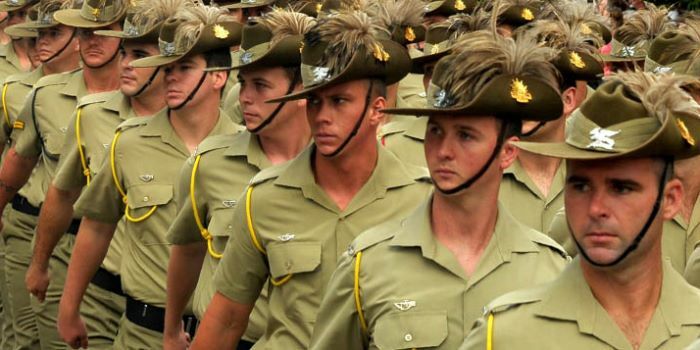 Per their official MoD website, the lowest ranking enlisted man upon completion of recruit training and military occupational training, pay and allowances are $61,896 (Australian dollars). The equivalent to Yankee dollars is $47,741. That’s what a private makes. And as far as the change in the American military retirement plan is concerned, interestingly enough, Obama, members of his cabinet, senators and congressmen aren’t subject to the same change they’re forcing on the military. Obama & Friends still have a retirement plan that’s arguably the most generous disbursement of taxpayer money in the history of modern man. Arab father attempts to instigate his own child to be shot.